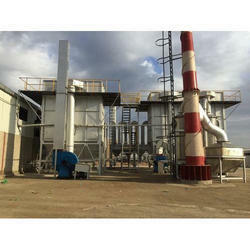 Providing you the best range of 20000 cmh refining pot fugitive emission control system, secondary pollution fugitive emission control systems and rotary furnace fugitive emission control system with effective & timely delivery. 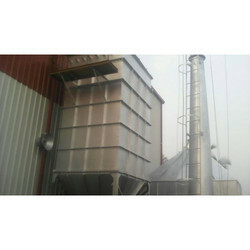 We offer 20000 Cmh Refining Pot Fugitive Emission Control System to our clients. 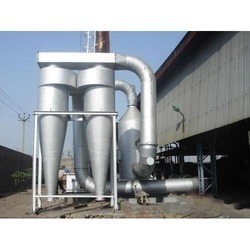 Smelting of lead in furnace involve stage or parts where, though pollution is generated, it is not handled by the main Air Pollution Control System like charging of Rotary Furnace when it is red hot or tapping of lead from rotary furnace which lead to generation of fumes. System put in place to capture and treat this fugitive emissions as and when they arise are called Fugitive Emission Control System for Rotary Furnace. Fugitive Emissions generally lead to pollution of work atmosphere and jeopardize the maintenance of ambient air standards at the work place. Hence to Safe Guard Employee health these systems are becoming mandatory worldwide.